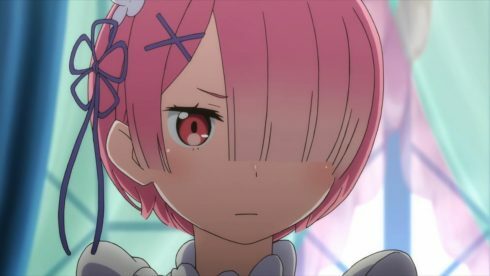 Another episode and another run through the emotional gauntlet with Re:Zero. Another episode where I just have no idea where to start. 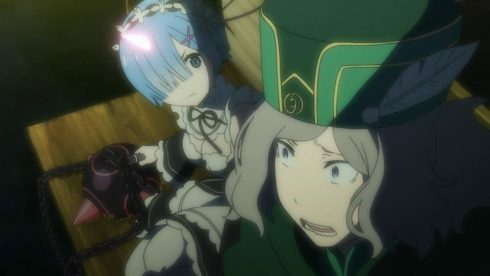 I wouldn’t say it had the same drama of say Rem’s efforts to save Subaru from the Witch Cult, but this was still pretty darn good. 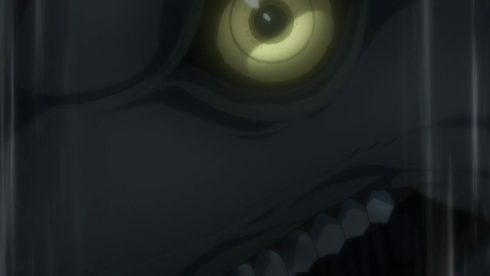 The horrors of the White Whale (I have issues with whales now) to Subaru’s curse, to the end of the episode with ungodly pissed Puck. Although I’m still really happy to see Puck again since it has been a while since we saw Puck like this (and not a giant monster). This whole arc has been one hell of a roadtrip. I fully expect Subaru to die next episode, but I still have no idea what to expect here. That freaking whale! Someone give me a giant harpoon! That thing is ungodly horrific. Although I’m partially confused as well. 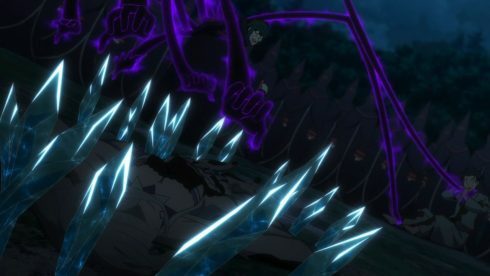 How can there be a tale about the Whale killing the swordsman or even an army being sent against it if it erases the ones it kills from existence? Wouldn’t that thing just be a legendary creature that….never kills anyone (from the public’s point of view)? Or did the swordsman just get lucky and was brutally crushed but not eaten? Honestly if that thing was played out as you’d expect it would be the most horrific creature imaginable since no one would consider it dangerous since it never “kills” anyone. I suppose you have to BS some deaths where the thing just isn’t all that hungry so that the story can work. Regardless, I really want to wipe that thing out. That thing freaking ate Rem! You don’t get to do that and live! I want that thing dead right now. Let’s get on it. That thing better just screw with memory. Something easy enough to deal with when Subaru inevitably goes back next week. Of course the first problem is Subaru understanding this concept and why everyone is forgetting. But, he hardly has the time to casually sit and theorize with all the insanity going on around him. But clearly it doesn’t just mess with memory or the room would be the same. So that hope is gone as soon as I thought it up. But, of course that doesn’t mean this thing necessarily will interfere with Subaru’s ability. It depends how the whale works and how Subaru’s curse works, and I just don’t know enough for either to say for sure. Rem just better pop back up when the loop goes on again. That’s all I’m saying. There’s no point in getting through this crisis if they lose Rem along the way. Did I mention that we better not lose Rem here? Just want to cement that point. I wouldn’t say there isn’t value in creating a sense of permanent loss, but that just doesn’t feel like a great thing to do here. 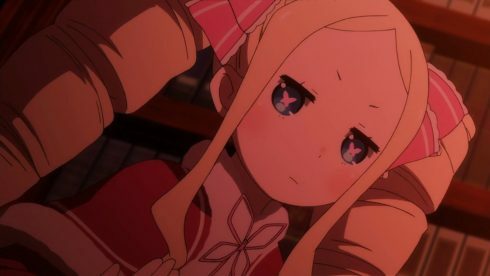 Being gone is bad, but being forgotten by her sister and everyone? Nope, not feeling that. 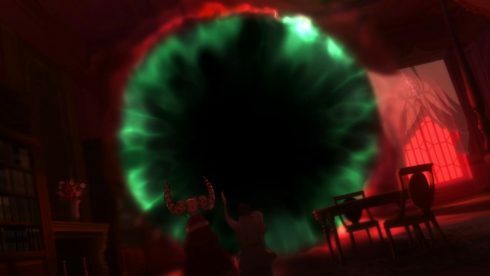 Of course there’s always some possibility that taking down the whale itself can do something about what happened, but who knows. I just don’t know what to do about this creature and sadly it will likely be several episodes before someone goes ahead and kills it off. This is certainly the most unsettling situation for the show in a long while since there is no telling what will happen. Emilia will be fine. Subaru dying will get her back and that’s a given. 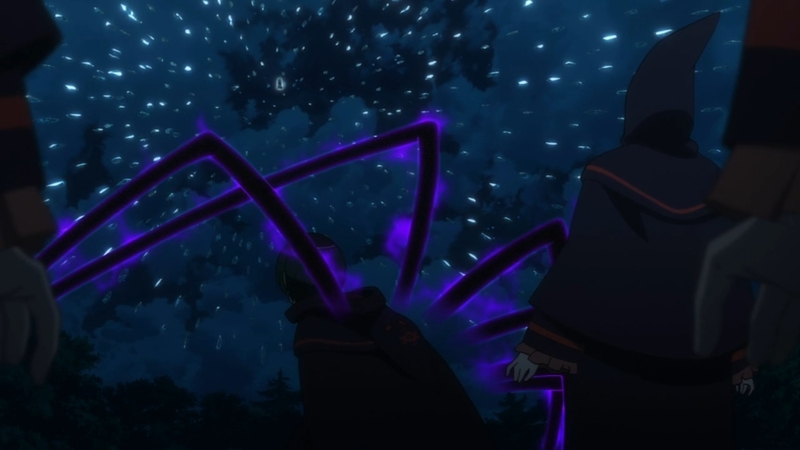 But, there’s more doubts with Rem since we just don’t know how these powers interact and the consequences of them. Will killing the whale do anything to the past and future? Will Return by Death do anything in regards to the ones the whale kills? I don’t know. It’s a hanging thread that we’re stuck with for a while here. In a sense what happens next is less dramatic than just plain shocking. Though without quite the same impact since we are pretty sure things will be fine with Emilia. It’s not good to get detached from death, but one death seems a lot riskier than the other. It was still horrible and a realization of just how twisted this Witch really is. When the curse realized that Subaru just didn’t give a damn if it killed him….tactics were changed. Seems like the purpose is to make sure his ability doesn’t leak no matter what. So if he doesn’t care what happens to him then it will kill the person he’s talking to. That’s just plain evil. That curse is a true jerk. I don’t know how you can call an ability itself a jerk, just look at that thing. 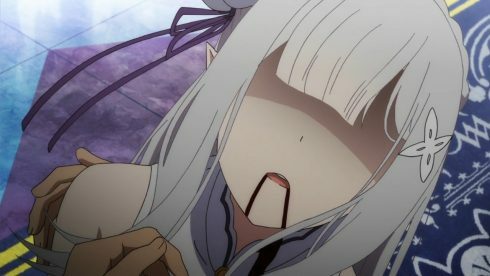 It was practically taunting Subaru and then killed Emilia. I can’t blame Subaru for just reaching a limit at that point. How do you keep handling all this? 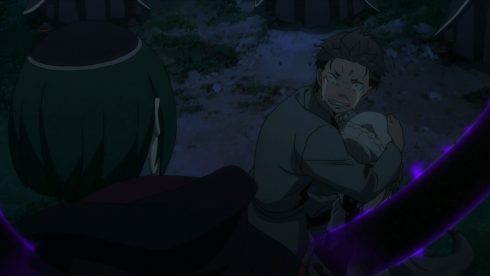 He gets beaten pretty badly through that event and then everyone forgets Rem. That’s scary, strange and horrifying all at the same time. Just that bit is and then Emilia dies right in front of him. Just feeling utterly broken and wasted at that point. With so many people you care about just gone in a short time….honestly I think many would feel suicidal. 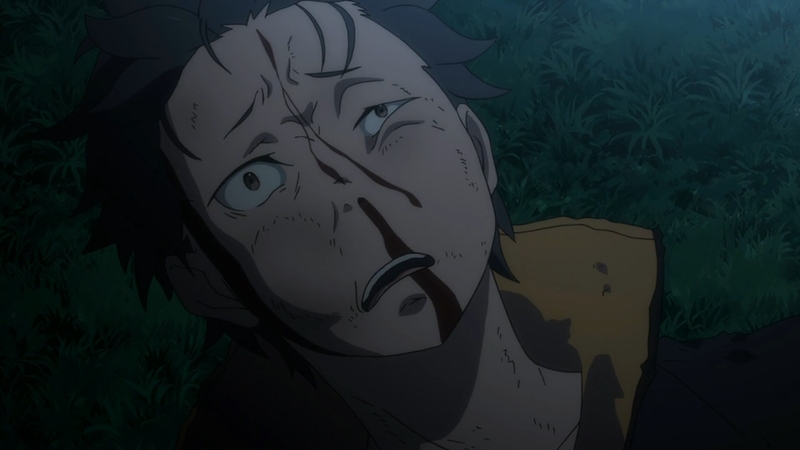 I’m not even surprised he asked Beatrice to just end him, although that was a pretty horrible thing to ask her to do. One big mystery left is Beatrice. I mean what was all that about? She didn’t seem all that shocked or thrown off by Emilia being dead or even Puck’s condition. She seemed the most upset and bothered by Subaru asking her to kill him. That would bother people sure, but in front of everything else in that situation? What does she know or think about all this? I wish there had been time to get something out of Beatrice about the whale or the cult or anything. And then of course you have Puck. 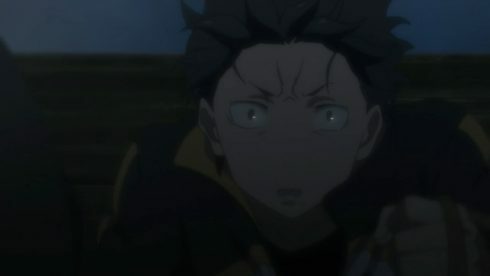 He wasn’t able to react to anything until well after Emilia died. Certainly I’m glad he’s there though. A pissed Puck should have the ability to take on the Witch’s cult and even that ability of Betelgeuse shouldn’t get in the way of Puck’s wrath. 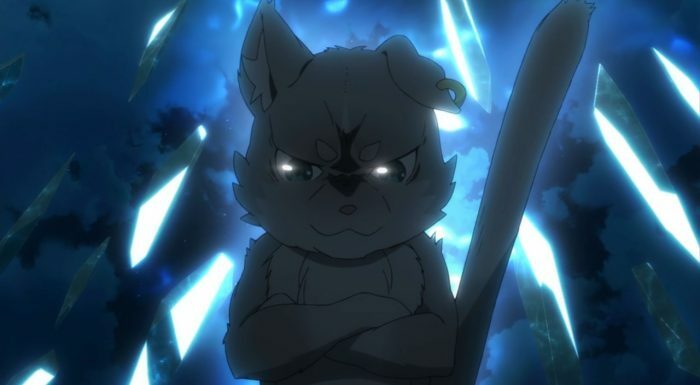 Of course he may end up killing Subaru again, but it’s kind of a necessity. There is no salvaging this mess otherwise. 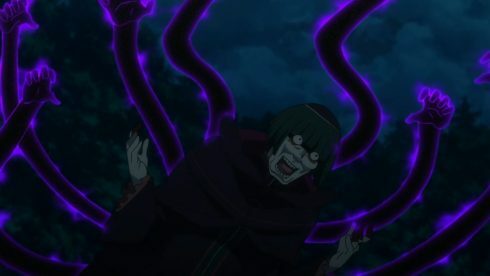 Of course the weird thing was that Subaru can now see that ability which does certainly resemble the restriction on Subaru talking about his power. 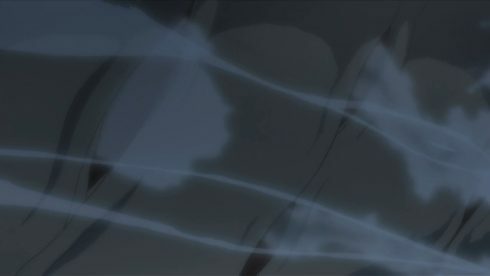 That does seem to tie into the fact that there is a connection to the Witch with all of it. Though why can he see it now? Has he crossed some defined threshold of using his Return by Death or forcing that ability to restrict him that he can now see those powers more clearly? I don’t know. We also have Betelgeuse acting like Subaru is one of them. Though is he just mistaken or is Subaru unwillingly part of all this? I don’t know. Is there more to the abilities he’s gotten then just the ability to go back? Either way it seems like Subaru is changing in some respect. I just wish we knew where it was all going. Another crazy week. I just don’t know how this will all turn out. Kind of stressing in that respect. 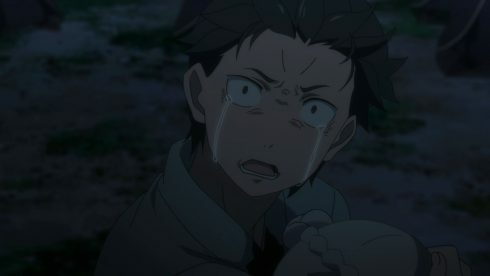 Will Subaru be able to overcome all this? He’s been pushed so hard that I don’t know if he can pull through. He did push himself to face Emilia again, but couldn’t find the right way to express himself. 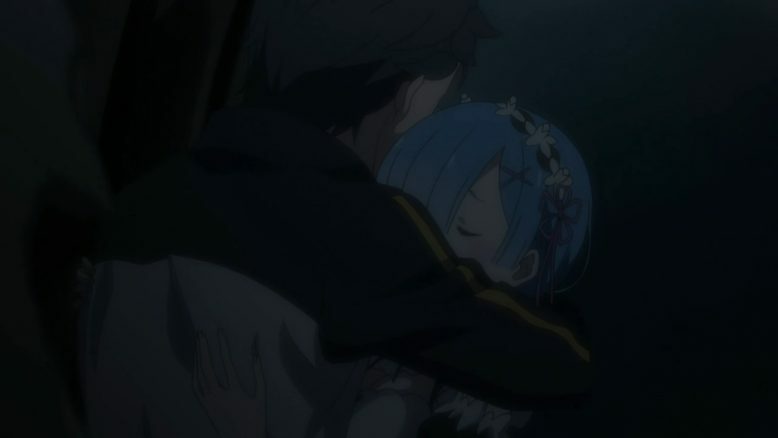 In the end it ended with Emilia dying and all of this going to hell. 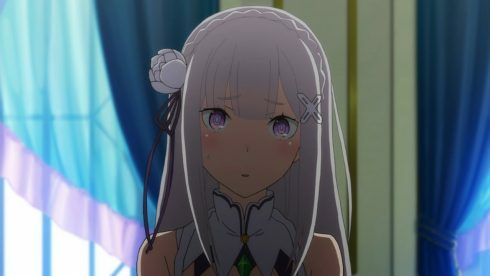 Whether Emilia will be alright or if Rem will be alright…I just don’t know. There’s a lot of unknowns right now to be honest. 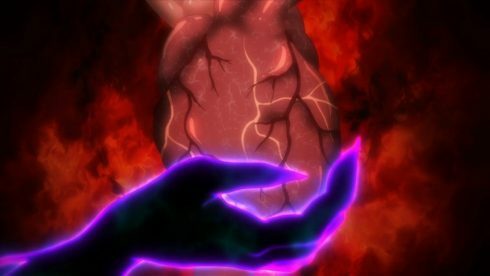 Here’s hoping that somehow by the end of this arc that things will at least be ok.